On June 1, 2018, registered patent attorney Gerald M. Walsh became of counsel to the firm. Dr. Walsh has been a scientist and teacher in academia and a research investigator in the pharmaceutical industry. He has published over 50 research papers in peer-reviewed medical journals and holds 13 patents with his co-inventors. He has also held executive level positions in pharmaceutical companies. He has helped inventors obtain patents for salt and water solutions that greatly improve antifriction properties of lubricants, machines that convert ocean waves into electricity, underwater diamond saws, anti-jacknife systems for backing trailers, programmable boat lifts, battery-operated riding lawn mowers, rotatable remote controlled porch lights, whirling streamer snake toys, irrigation and drainage urinary catheters, feeding duck decoys, herbicide compositions, valves for nuclear reactors, game feeders, methods for transporting spacecraft into outer space, teeth-whitening devices, and many others. As a registered patent attorney with a background in the life sciences and chemistry, Dr. Walsh’s patent practice focuses on helping inventors obtain patents on mechanical, electromechanical, medical, biotechnology, and chemical inventions. 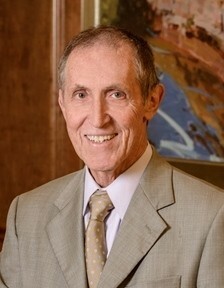 He received his law degree from the John Marshall Law School (Chicago, Illinois) in 1984 and his Ph.D. in pharmacology from Oregon State University in 1970.